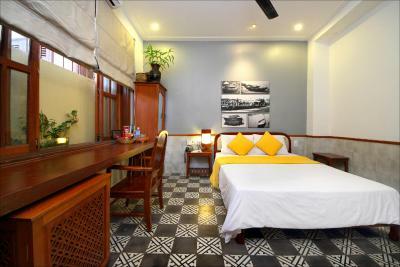 Lock in a great price for Thanh Van 1 Hotel – rated 8.9 by recent guests! The breakfast was in fact very good; eggs made when you arrive every morning, lots of fruit and pastries. The location was fine (everything in this part of Hoi An is close, so just being far away from the late night bars was good enough for me). Location and staff were great. Breakfast was yummy! 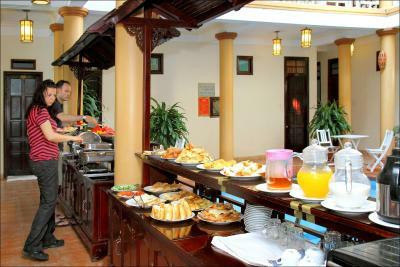 A very nice Hotel, the breakfast was delicious and the staff very friendly. Good location, pricing, and wonderful staff made the visit worthwhile. 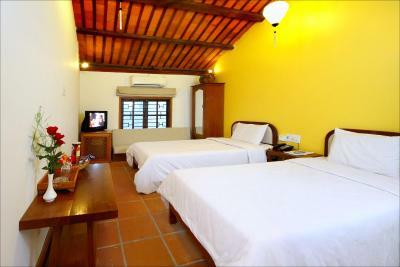 Very good location and very close to the old town. The staff were incredible, so attentive to our two year old and extremely accommodating to our additional requests for milk and bananas for him. 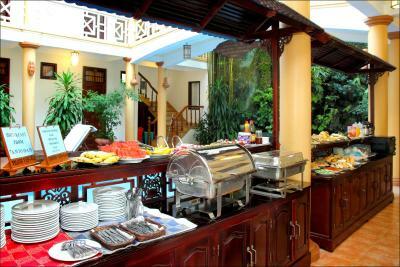 The room was comfortable, the breakfast delicious and the pool was a great hit with the whole family! The hotel provides free tea and coffee, which made staying in and relaxing all the easier and more enjoyable. The entrance to the old town is a mere 2.5 minute walk, great location and with this in mind, the rooms were not too noisy considering it was New Years eve and our room was City facing. Staff are amazing .... helpful and friendly! Answered all our questions and went beyond the call of duty. Good breakfast! Staffs are very kindly and appreciated superb! Speak English is well and beautiful room decoration. 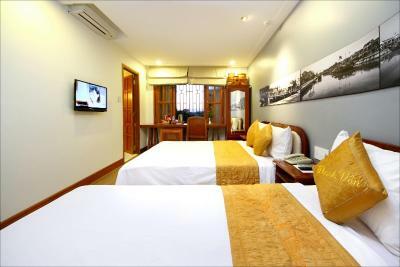 Thanh Van 1 Hotel This rating is a reflection of how the property compares to the industry standard when it comes to price, facilities and services available. It's based on a self-evaluation by the property. Use this rating to help choose your stay! 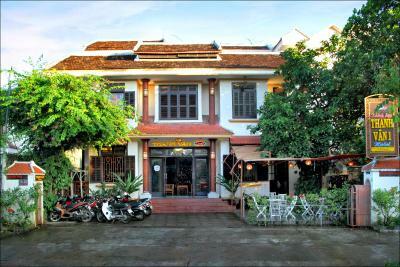 Thanh Van 1 Hotel is in Hoi An’s Old Town, a stroll away from An Bang Beach. 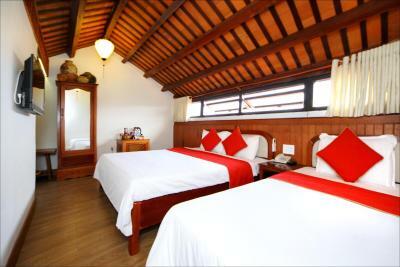 It provides free Wi-Fi access throughout the property. 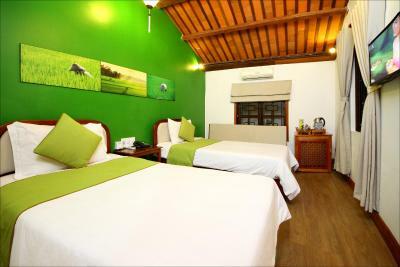 The air-conditioned rooms at Thanh Van 1 Hotel offer great views of the garden. 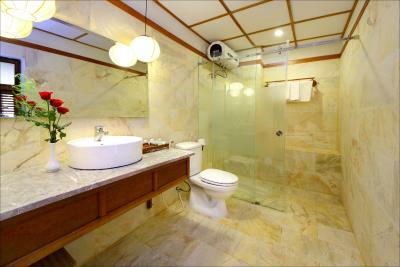 They come with private bathroom facilities, ample seating space and a work desk. They are equipped with a mini-bar, cable TV and a hairdryer. 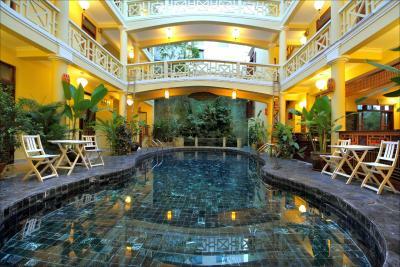 Thanh Van 1 Hotel’s swimming pool is ideal for a fun day outdoors with family and friends. Alternatively, the tour desk helps guests organize excursions to local attractions. 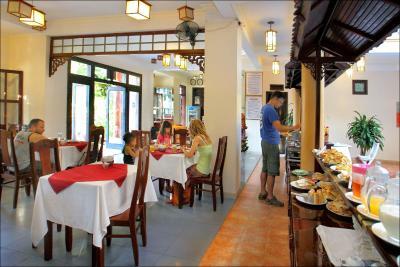 Guests can relax and enjoy a meal at the hotel’s restaurant and a refreshing beverage at Thanh Van Bar. 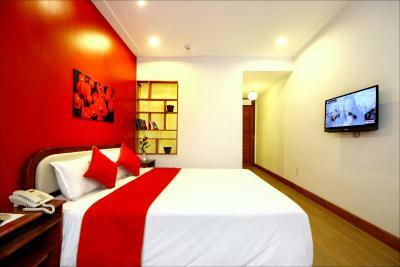 Services such as room service, laundry and currency exchange facilities are available at The Thanh Van 1 Hotel. 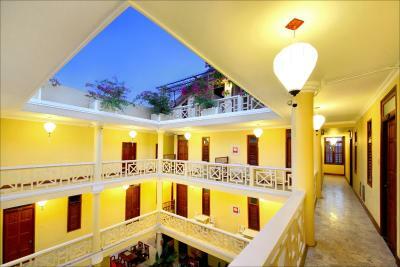 Thanh Van 1 Hotel is about 19 mi from Danang International Airport. 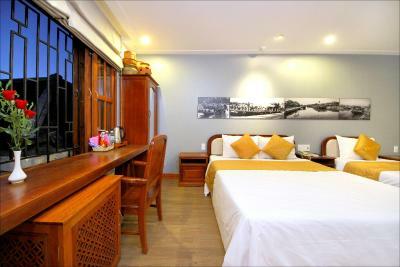 When would you like to stay at Thanh Van 1 Hotel? 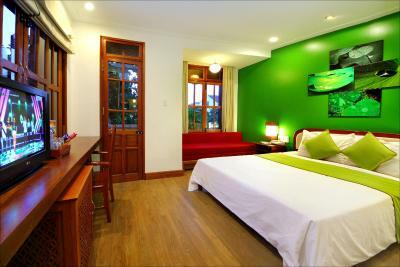 This larger air-conditioned room is fitted with a TV and a mini-bar. Some rooms offer a window. 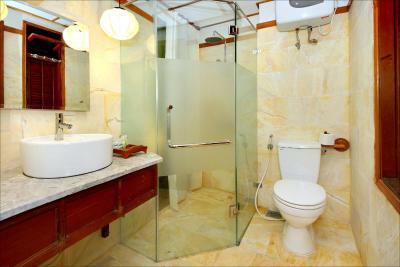 The private bathroom includes shower facilities. 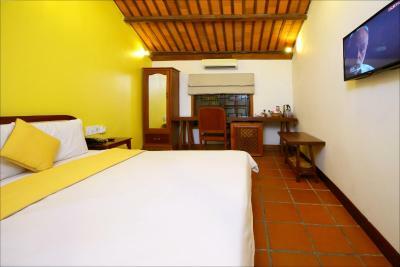 This large air-conditioned room features a TV and private bathroom facilities. Guests can request for the pool or city view. 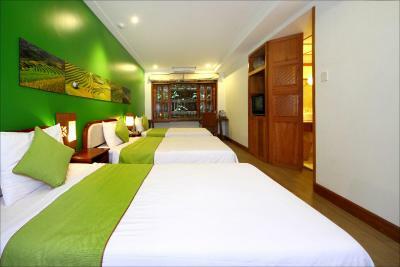 This air-conditioned triple room is fitted with a TV and a mini-bar. Some rooms offer a window. 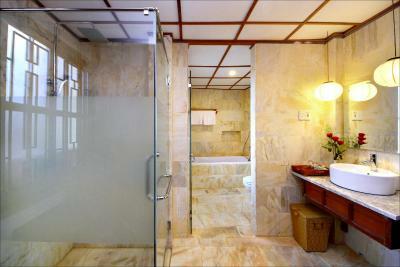 The private bathroom includes shower facilities. Please note that requests for 3 single beds are subject to availability. 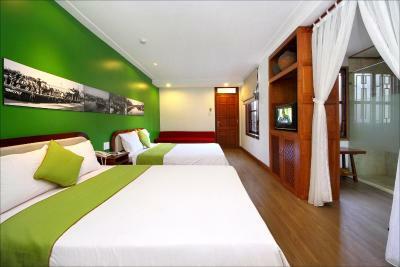 Guests are to contact the hotel directly. 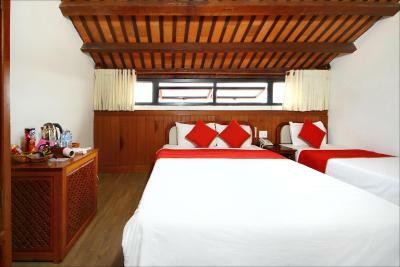 Air-conditioned rooms are located on the top floor accessible by stairs. Some rooms offer a window. 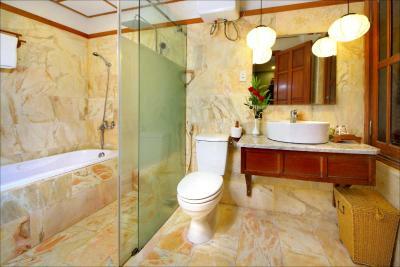 The private bathroom includes shower facilities. Hotel surroundings – This neighborhood is a great choice for travelers interested in walking, city walks and ambiance – Check location Excellent location – show map Guests loved walking around the neighborhood! 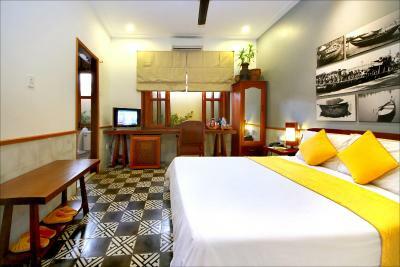 House Rules Thanh Van 1 Hotel takes special requests – add in the next step! 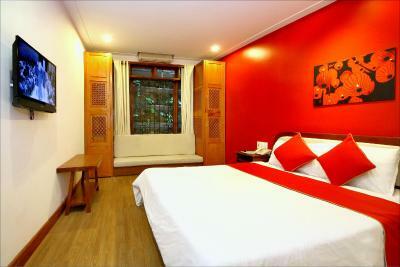 One older child or adult is charged VND 232596.46 per person per night in an extra bed. 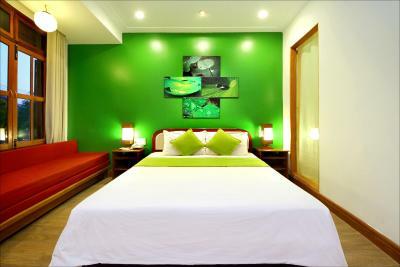 Thanh Van 1 Hotel accepts these cards and reserves the right to temporarily hold an amount prior to arrival. 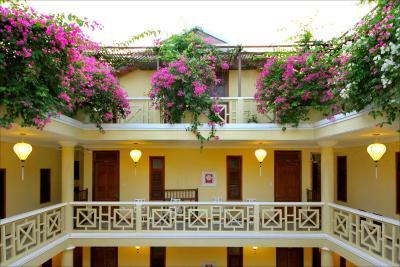 The courtyard area is gorgeous, especially when the flowers drop down into the pool. It’s a perfect place to cool off in the afternoon. Breakfast was fantastic, we loved the variety of fruits. The first room they reserved for us smelled terribly of mold. The second room also had the same problem, but not as strong of a smell. The air conditioning didn't work in the second room and there was no shower curtain- which meant we made a mess when we did shower. The floors were gritty with dirt - don't go with bare feet. The bed appeared to be recycled from several years ago and you could feel the bed supports through the mattress. The room was also right near the kitchen so we heard dishes clanging very early. The windows also did not close all the way so we heard traffic honking by all night. Overall, I would not recommend. Stay elsewhere for the same price. The staff was nice and attempted to make the best of our terrible stay. 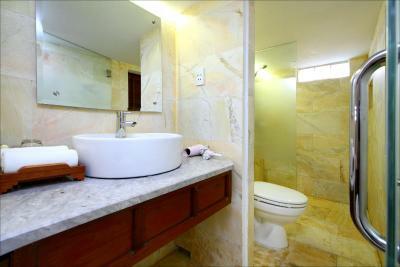 There should be a remark on Superior room type that customer needs to make a request for room with bathtub. Otherwise, you would select the room type as advertised pictures on website and expect to have exactly the same with what you had booked, but turned out at check-in you wound't get the bathtub unless you made the request. Spent sometime to made staff understand customer's point, and then the manager gave the room with bathtub finally. 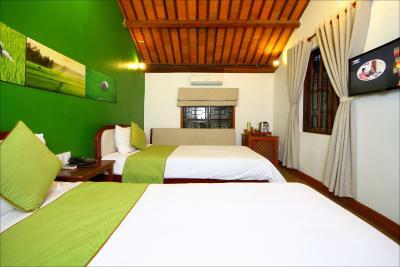 Beautiful rooms, great location, excellent staff! Amazing staff, so friendly and accomodating. Obviously trying to sell excursions, tickets etc. but not pushy at all. Spoke excellent English, remembered us by first names. All in all really great place! staff is amazing, they prepared all customised trips for me, they booked a flight ticket, train ticket. extremely nice and helpful. Amazing staff very helpful and soooooo nice. Best hotel we had done in Vietnam. Everything was perfect. 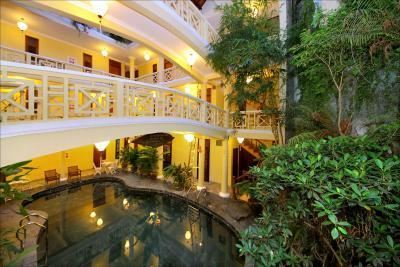 Great bed great bathroom beautiful pool! Great location. Swimming pool... helpful staff, yummy breakfast. Excellent place, nice staff and good breakfast, location is great as well. 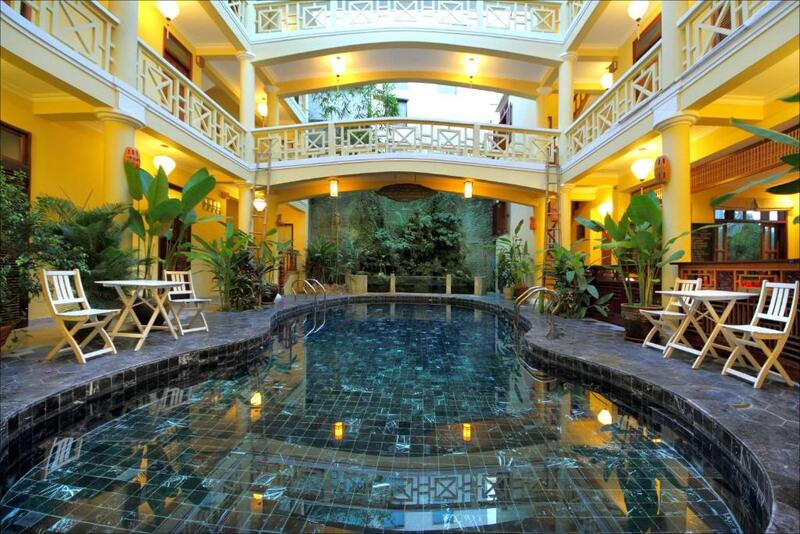 Probably the pool and the room is the best.